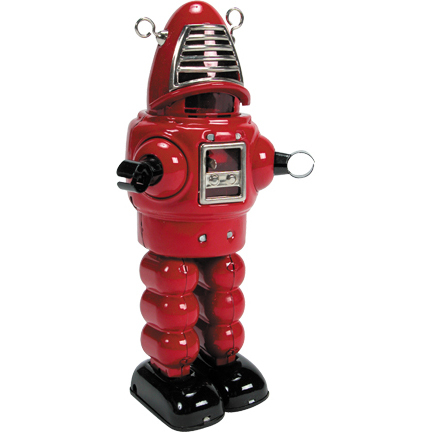 An exact replica of the 1950's all-time favorite Robby the Robot, our Planet Robot walks with a sparking action behind his red cello face shield. Complete with fantasy box. 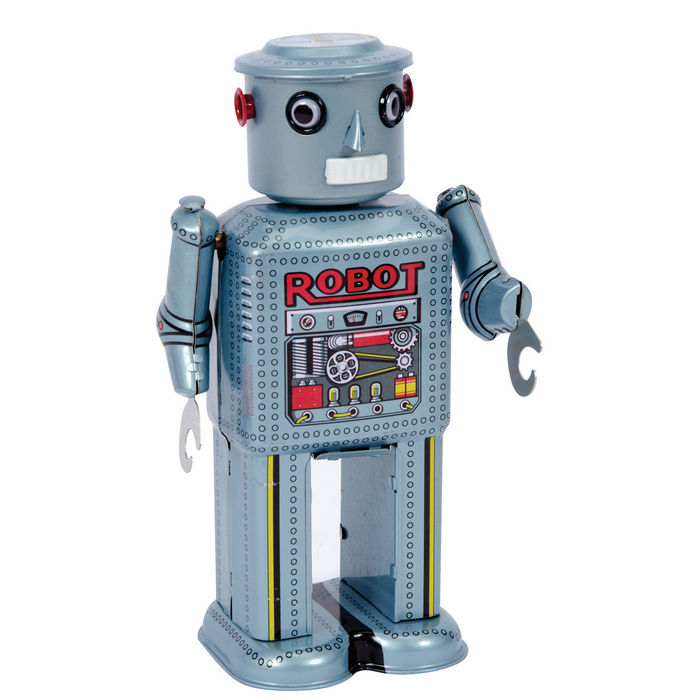 Robot measures 8.5? tall. Measures 4.5? x 9.5? x 3.5?